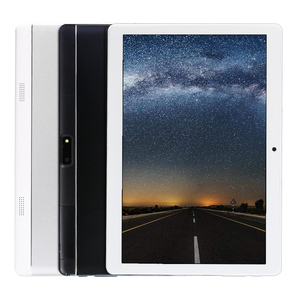 Product Details New tablet 7 Inch Quad Core Phablet 1024*600 Screen Phone Tablet Product Size 182*121*11mm Screen size 7 inch LCD resolution 1024x600 HD Android System Android 4.4 Language Support Multilanguage CPU ALLWinner A33 Quad Core A7 RAM 512MB/1GB (optional) ROM 8GB / 16GB (optional) Camera Front 0.3MP/Rear 0.3MP/2.0MP Network WiFi 802.11 b/g/n Bluetooth BT 2.1 Sim Card slot NO GPS NO I/O Micro USB/DC charging port/3.5mm earphone jack/TF card slot Battery 2200mAh -3000mAh Shell Plastic (black/blue/pink/green/red. etc) Related Products Main Categories Company Profile Packing & Shipping Customized Service: Bootup Screen Logo, Custom Homepage, Custom App Burn In RAM, Any other question, Please Click Here to Contact US. 2. 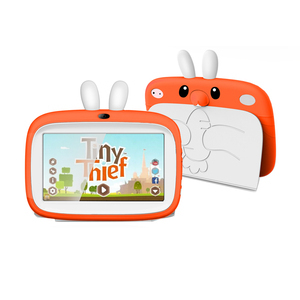 The operation system is Google Android 4.4, quickly and practical. You can surf online at anytime and anywhere fluently. It will bring convenience and colorful world of your life. 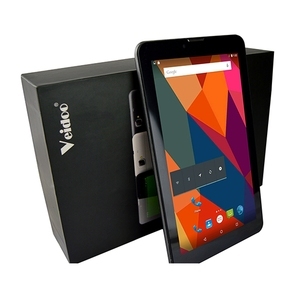 7" smart android tablet pc 4 . 7" smart android tablet pc 7" smart android tablet pc 6 . 7" smart android tablet pc 7 . Shenzhen XFX Electronic Technology Co., Ltd.
Q1. Could you replace the startup picture by our company logo/ personal image9 A1. Yes. Extra cost will be charged if quantity less than that. Extra cost will be charged if quantity less than that. 2. We check our product one by one in our QC department, we can assure the best quality. We'll test all devices before sending to assure that all devices delivered passing the factory test mode. If there have any software problem in selling and using, we'll provide solution and firmware to resolve that question. 13 inch tablet pc allWinner A83 Octa Core 2GB / 8GB Android Tablet pc with H-DMI Input,External 3G HIGH PERFORMANCE AND COST EFFECTIVE SOC CAPACITIVE TOUCH SCREEN High performance SoC No additional media player The sensitive touch panel can reach Delivering optimized SoC that has Eliminates the need for an external your interactive purpose in any powerful performance to play media player to reduce the cost condition various contents and of total ownership. SMART CONTENT MANAGEMENT SERVER MULTI NETWORK CONNECTIVITY Adopted latest CMS software which can easily To display content without a update your contents remotly from PC dead spot,the monitor with Manage multi players below network interface Simple to use for optional Cost-effective software FEATURES A grade panel High-Performance & Cost-Effective Solution Low Screen Temperature on Standard Mode &middot; Support Install custom APP High Resistance to Blackening Defect &middot; Timer Function Wide Viewing Angle &middot; Reliable 24/7 Continuous Operation Specificatoin Panel Size 10&rsquo;&rsquo; /15.6/18.5/21.5 Display Ratio 16:9 Resolution(pixel) 10 " :1280x800 15.6 " /18.5 " :1366x768 21.5 " : 1920x1080 Color 16.7M Pixel Pitch(mm) 0.3(H)x0.3(V) Brightness(nits) 300cd/m2 View Angle 160&deg; /160 &deg; Response Time 5ms Life(hrs) 50000 CPU Allwinner A20,1.0-1.5GHz Memory 1GB Nand Flash 8GB Accessary Table Stand, power adapter, manual,remote control Material Plastic case+Capacitive touch Panel Installation Table stand&Wall mount Certification CE/Rohs/FCC Image Resolution 5000x5000p Max Video Resolution 1920x1080p Max Speaker 2X5W Remote Controller IR Remote Controller Power Supply 100-240V AC Power Consumption 30-35W Working temperature 0 &deg; ~60 &deg; C Storage temperature -20 &deg; C~80 &deg; Working Humidity 85 % Standard Color Black Details Payment Terms T/T Western Union Paypal L/C Yes Yes Yes Yes Packing details: Qty/CTN Carton Size N.W G. W Wooden box 1pc/ctn 575*100*450 2Kgs 2.5KGS USD9.5/pcs After-sales service Service online There are 6 Technicians online with 24 hours to help you solve the problems Warranty: 1 year without human damaged How to contact us9 Send your Inquiry Details in the Below, Click " Send " Now! 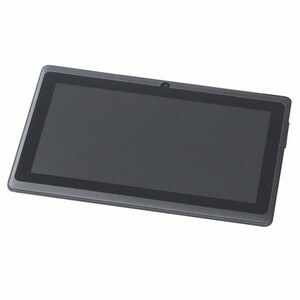 Alibaba.com offers 90,085 android tablet pc products. About 75% of these are tablet pc, 2% are desktops, and 1% are advertising players. A wide variety of android tablet pc options are available to you, such as 10", 7", and 8". You can also choose from mtk, rockchip, and allwinner. As well as from 2gb, 1gb, and ≥ 4gb. And whether android tablet pc is quad core, octa core, or dual core. 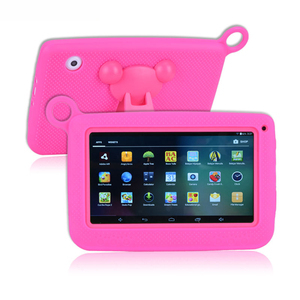 There are 89,639 android tablet pc suppliers, mainly located in Asia. The top supplying countries are China (Mainland), Hong Kong, and India, which supply 96%, 2%, and 1% of android tablet pc respectively. Android tablet pc products are most popular in North America, Western Europe, and South America. You can ensure product safety by selecting from certified suppliers, including 19,851 with ISO9001, 8,358 with Other, and 4,830 with ISO14001 certification.